Scotland’s top judge Lord Hamilton finally gives in on McKenzie Friends. A SIGNIFICANT VICTORY in the campaign and Holyrood petition to bring MCKENZIE FRIENDS to Scotland’s courts has been won this evening, with the publication of a letter from Scotland’s top judge the Lord President, Lord Hamilton, informing the Scottish Parliament that subject to the Court of Session’s Rules Council’s views, he intends that the Court will enact the relevant Act of Sederunt in May and that McKenzie Friends will be finally brought into force in Scotland in June 2010. Lord President to enact McKenzie Friends Page 2. 2. The lay assistant would not be able to act as the party litigant’s agent. He or she would have no authority to sign court documents. The lay assistant would have no right to address the court or examine witnesses. 3. There is a procedure whereby the party litigant informs the court of the intention that there should be such assistance and obtains the approval of the court of the person in question taking on the role. This is done by motion in the process which is intimated to the other party and which would normally be granted without a hearing if unopposed. 4. The party litigant would be entitled to communicate to the lay assistant information, including the court papers lodged in process, which otherwise he or she would not be entitled to see. Such papers may well be of a private and sensitive nature. There would therefore be a mechanism by which the lay assistant would acknowledge a duty of confidentiality and give an undertaking to use the information obtained from other persons in the process (whether parties or third party havers) solely for the purpose of the litigation. To enable the court to police the behaviour of a lay assistant and, in an extreme case, to exercise a sanction against him or her, the party litigant and the intended lay assistant should complete and sign a certificate to be lodged in process with the motion. 5. 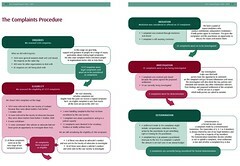 The certificate should (i) state the name and address of the intended lay assistant; (ii) give a brief summary of the lay assistant’s relevant experience and state whether he or she is related to the party litigant; (iii) confirm that the lay assistant has no interest in the case and is to receive no remuneration for his or her services in any form; and (iv) state the lay assistant’s understanding of the duty of confidentiality and his or her undertaking not to use any documents recovered in the process for any purpose other than the litigation. There would be an appropriate form containing the undertaking with boxes to be completed. 6. 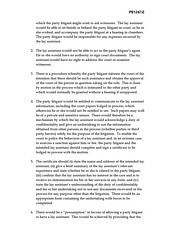 There would be a “presumption” in favour of allowing a party litigant to have a lay assistant. This would be achieved by providing that the court should grant the motion unless it is satisfied that it would be contrary to the efficient administration of justice to do so. The court would have the power to revoke the permission if the lay assistant were to behave irresponsibly or were otherwise to impede the efficient administration of justice. Lord President to enact McKenzie Friends Page 3. That should assist to clarify the position in the Court of Session. Subject to the Council’s views, I would intend that the Court makes the Act of Sederunt in May and that it is brought into force in June. It remains my view that going any further and allowing a lay representative rights of audience in the Court of Session is a matter for primary legislation. I do not therefore propose to take any further action in relation to this, save to say that this is of course a matter about which the Civil Courts Review has made a recommendation and that the Scottish Government will no doubt adopt a position on that recommendation in due course. Margo MacDonald MSP, ‘gem’ of the Scottish Parliament – It should be a right to have a McKenzie Friend. Crucially Lord Hamilton has now also conceded there should be a presumption in favour of allowing a party litigant to have a McKenzie Friend accompany them in court. This ‘right’ has existed in courts in England & Wales for a number of years and is included in the guidance on the use of McKenzie Friends in England & Wales. Prior to the Lord President’s letter to Parliament today, there had been considerable resistance by the Scottish Government and judiciary to bring the ‘presumption in favour of having a McKenzie Friend’ to Scotland’s courts, a right which has been considerably referred to by independent MSP Margo MacDonald, during hearings at the Scottish Parliament on the McKenzie Friends Petition 1247. 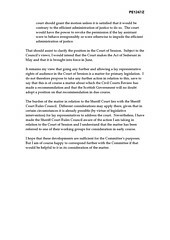 Lord Gill’s Civil Courts Review recommended McKenzie Friends should have a right to address the court. However, Lord Hamilton confirmed that for now, McKenzie Friends, or ‘lay assistants’, will have no right of audience, and will therefore not be able to address the court, examine witnesses or sign court documents, although recent recommendations by Scotland’s Lord Justice Clerk, Lord Gill in the Civil Courts Review, did actually recommend McKenzie Friends should (when introduced to Scottish Courts) be given the right to address the court in certain circumstances. Lord Hamilton went on in his letter to the Parliament, appearing to suggest in his letter to the Parliament that ‘relevant experience’ may play a part in deciding whether someone can or cannot be a McKenzie Friend, although some tonight queried that suggestion, as often the term “lay” refers to someone outside the legal profession and unconnected with it, whereas figures from the judiciary would like to see only legally qualified individuals as McKenzie Friends. Justice Secretary MacAskill & Lord Hamilton wrongly claimed McKenzie Friends had always existed. Clearly there are some problems still to overcome and many questions yet to be answered - not least the fact that on several occasions, both the Lord President and Justice Secretary Kenny MacAskill have claimed Scotland always had ‘supportive friends’ in courts, when in fact, no such ‘supportive friend’ ever existed. Enquiries to the Scottish Courts Service direct confirmed no such role, also confirming that McKenzie Friends had not existed in Scotland’s civil courts, despite further protestations from the Scottish Government to the contrary. Also the quite considerable question of exactly why McKenzie Friends have been excluded from Scotland’s courts for some forty years, while many other international jurisdictions took on the McKenzie Friend facility after it first came into existence upon the result of McKenzie v McKenzie, 1971, remains to be answered, not least because the four decades long exclusion has led to a significant prejudice against Scots access to justice being regularly denied, particularly when law firms & solicitors refused, or were instructed by their governing body to refuse to represent individual litigants or groups in litigation which the legal profession itself did not wish to pursue for policy, political, or other reasons. This has been a long campaign, thorny at times, and obviously there is still a long way to go to ensure Scots have the same rights & entitlements of access to justice as everyone else in the UK. Keep supporting McKenzie Friends for Scotland ! Scottish Legal Complaints Commission. The SCOTTISH LEGAL COMPLAINTS COMMISSION, which we have all come to know as one of the most useless quangos in existence, originally created as a result of the Legal Profession & Legal Aid Act (Scotland) 2007 to clean up regulation of Scotland’s legal services industry, has been forced to go on a recruitment drive offering posts at the hapless, anti-client complaints quango at around £42K a year, including a pension. Sounds like a good deal ? £807 a week plus perks, plus a pension to fiddle complaints against crooked lawyers and make sure consumers have no protection against the worst legal services in existence, plus the chance to meet with the flotsam from the Law Society ? Well if that is your game, I’d say go for it. This new need for additional staff in the quango (which recently advertised it holds a massive £1.5million in surplus funds, while refusing to pay back its public funding of nearly £2 million), is not due to the SLCC’s heavy workload of investigating complaints against crooked lawyers, because there is apparently no heavy workload at the SLCC as I revealed last week here most complaints have been passed back to the Law Society of Scotland, the well known, infamous self regulator which usually lets ‘crooked lawyers’ off the hook. SLCC Board members racked up a staggering £135K a year in expenses claims yet quango hardly does any work. In spite of the SLCC’s roll of infamy to-date, mired in scandals involving everything from huge expenses payouts to its board members, a systematic failure to deal with complaints on any level, consistent failures to address its duties emanating from the Legal Profession & Legal Aid (Scotland) Act 2007, media exposes on its members drunken hate filled, booze fuelled rants against consumers, reformers, critics and even victims of crooked lawyers, there are a few positions now available at Scotland’s least worked quango, which appears to be following very much in the vein of the Law Society of Scotland, as each day passes. Fancy being called to the bars with SLCC Board members ? It could be you ! Consumer protection, we never got, and never can expect from this tragic gathering of people who have no intention of helping victims of the legal profession, but we can certainly expect ever rising expenses claims from its board members, many of whom appear to have several other highly paid jobs & quango positions, while the SLCC’s task of investigating complaints, is mostly left to rot. You can read my previous coverage of the Scottish Legal Complaints Commission and how it really has done nothing for regulation, or consumer confidence in the legal profession HERE. Below, is the latest job offerings from the SLCC, where anti-client, anti-consumer lawyer friendly individuals who know how to whitewash a complaint, should definitely apply – sounds like just the job for any ex-Law Society staff. The Scottish Legal Complaints Commission (SLCC) is a corporate body operating independently of the legal profession and the government. It was set up by Statute to modernise the legal complaints handling system, to ensure complaints are resolved quickly and effectively. We are looking for people with the vision, determination and drive to form a key part of our management team and lead our people, achieve objectives and play a central role in making a real impact for the people of Scotland. You will provide leadership and team management to your team, organising staff and other resources to deal with complaints in accordance with the SLCC's Complaint Handling Procedures and quality standards. You will support and develop your team and as a member of the management team you will assist in the review and further develop our policies and procedures to provide a high quality, efficient complaints handling service. To be successful in this role you will be educated to degree level or equivalent and ideally will have a legal or comparable qualification and a supervisory management qualification. You will have demonstrable experience in writing and providing procedural advice and guidance, including drafting reports and be able to demonstrate leadership and management skills. You will have a track record of significant achievement with a minimum of 3 years people and performance management experience. A working knowledge of Word, Excel, PowerPoint and Outlook is essential. You will be an effective communicator who is well organised and delivers work on time and to the agreed level of quality. Ideally you will be able to influence at local, national and strategic levels, with the personal and professional manner to command confidence of stakeholders. Please contact Rick Mattison on 0131 243 2981 or rickmattison@uk.michaelpage.com, quoting reference MPTJ13091641. Please return your completed application and diversity monitoring form to Rick Mattison at Michael Page. Closing date for applications is Friday 5 March 2009. SLCC short listing will take place on Monday 22 March and interviews will be held on Monday 29, Tuesday 30, Wednesday 31 March 2010. Scottish Government wants a new one-shot quango to stooge manage independence referendum. I tend not to stray too far into reporting political news, principally because there are so many scandals involving the legal profession and its many tentacles, I am kept busy indefinitely on that subject. However, reading about how the Scottish Government are attempting to create a new quango with yet more stooge appointments, simply for the purpose of pushing the referendum on independence agenda, in a time when basically, Scotland is broke, deserves some attention. If anyone came along & knocked on your door, telling you they were going to demolish your house to build a new road, you might say, oh, I’m going to fight this, take legal action, and either win, preventing your home being demolished, or walk away with a suitable compensation figure after a lot of haggling and letters. If however, someone came along, knocked on your door and said, we are going to demolish your house to build a new road, and oh, by the way you cant take legal action, you have to appeal to this new quango we’ve created which is run by the company who are building the road, you might be forgiven for thinking you are being led up a one way garden path by the road builders. So alas, are we all being led up the same one way garden path with the plans exposed by the BBC on the Scottish Government’s planned referendum on independence, to be announced later this week. Electoral Commission to be kept out of Scottish independence referendum on. Normally, the Electoral Commission, oversee elections in the UK. This has worked fairly well as we all know for many years. Yes, a few nags and niggles, but as always, we get who we vote for, regrets or not. However, the Scottish Government do not want to use the Electoral Commission for their independence referendum plan, which is certainly no surprise to me, because this time the SNP wont be able to get away with stuffing the ballot with a title “Alex Salmond for First Minister” as they did in the last Holyrood elections. That was certainly unfair on all concerned, and everyone being wise to that, I’m sure it will never be allowed to happen again, hence, no Electoral Commission please, we know your tricks .. you will spot any fiddles in the questions tout de suite so cant allow that. So, as appears to be tradition, when an organisation might not give Ministers the result they want, they call in, or better still create a new body to give them the result they want .. and hence here we are now reading about a new Scottish Referendum Commission, which will be doubtless stuffed with quango style appointed people who have one track minds to hand over the one result the current Scottish Government want – a “Yes” for independence, at any cost, and as garbled a set of questions to the electorate that no one will be able to fathom out. I’d say that is a fit up, but don't take my word for it, look through the Freedom of Information disclosures obtained by the BBC and released yesterday. Personally, I am left wondering what they are going to call this referendum quango .. how about the Scottish Legal Independence Referendum Commission ? At a time of huge public service cuts, rising unemployment, our banks still on the rocks, and the national debt (mainly thanks to those on-the-rocks banks which had to be saved) sky high .. I could think of a lot more better use for public funds, and legislative time at Holyrood. Anyway, arent we all supposed to stick together in times of crisis ? The Scottish government plans to set up a special body to run a future referendum on independence. Ministers do not want to use the Electoral Commission which overseas Westminster elections. The plan was revealed in minutes of meetings which were obtained by the BBC under Freedom of Information. The draft bill on the independence referendum - which could take place as soon as 30 November - is expected to be published on Friday. Email from the Scottish government, 13 march, 2009 - "We are now looking at what the question in an independence referendum might be and at some point will need to show we have properly assessed it for intelligibility, neutrality, etc." Electoral Commission minute, 22 September, 2009 - "Scottish government officials confirmed... that there was currently no provision to consult any organisation as to the intelligibility of the referendum question." Electoral Commission minutes, 6 November, 2009 - "There seems little regard to the remit and role of what the Scottish Referendum Commission would actually do." The Electoral Commission has a statutory role to run referenda called by Westminster, but has no formal role in those called by the Scottish Parliament. In the minutes obtained by BBC One's Politics Show, civil servants told the commission they planned to set up a new body - the Scottish Referendum Commission - to run the election. The paperwork also revealed the concerns of the Westminster commission over the wording of the questions and that the timescale towards the poll was too short. A minute from September last year said: "Scottish Government officials ... confirmed that there was currently no provision to consult any organisation as to the intelligibility of the referendum question". No Scottish minister would comment on the FOI minutes, however, a spokesperson said that Scottish voters already had quite recent experience of a multi-option constitutional referendum. The Electoral Commission said that when the government sets out the referendum on full independence, it would "consider it and submit a response" using experience of planning for referendums in the UK. It added: "We are not able to comment until this public consultation is opened." Lord President Lord Hamilton. LORD HAMILTON, Scotland’s chief judge is to be asked by Parliament to ensure guidance and information is available to members of the public seeking to use a McKenzie Friend in Scottish Courts, after it emerged today that two months on from Lord Woolman's Court of Session ruling during November 2009 in Martin Wilson v North Lanarkshire Council & others, granting the first use of a McKenzie Friend in Scotland, members of the public are still being given contradictory from the Courts Service on whether they can or cannot use a McKenzie Friend in a Scottish court. Currently, there are only two recorded uses of McKenzie Friends in Scotland’s civil courts, with both being forced to ‘sit behind’ the party litigant who requested their help & assistance, and no guidance yet exists on the Scottish Courts Service website or within Scottish court buildings, where litigants can find out how to request and use the services of a McKenzie Friend. Indeed, several reports have come in from individuals claiming many of Scotland's regional courts know nothing of the McKenzie Friend issue, in some instances court officials claiming McKenzie Friends are not allowed, while others say its possible but not yet written into law. The Scottish Parliament’s Petitions Committee, during its latest hearing on Petition 1247, McKenzie Friends for Scotland, debated the information provided by the Scottish Government, who claimed that information that a “mechanism of a supportive friend is already available in the Scottish Courts, in most cases, most of the time”, claims which were disputed by the Law Society, the Scottish Courts Service & Consumer Focus Scotland who all referred to the fact a “supportive friend” (a McKenzie Friend) had yet to be introduced to Scotland’s courts. A Scottish Government insider claimed his colleagues in the Justice Department were reluctant to use the term “McKenzie Friend” as they had been caught short on the issue, after enquiries to the Scottish Courts Service revealed no such “supportive friends” (McKenzie Friends) had ever been used in civil cases in Scotland prior to Lord Woolman’s November ‘09 ruling, this coming after McKenzie Friends have been successfully used in England & Wales, and many other international jurisdictions for forty years. Margo MacDonald spoke further on McKenzie Friends. At last week’s Holyrood hearings on the McKenzie Friend petition, independent msp Margo MacDonald spoke further on the issue, saying : “The petition and the back-up material are self-evident. An opinion poll has been conducted and, although we should take the results with a pinch of salt, there is a consistent level of support—66 per cent—for the idea of McKenzie friends. We have had word from the bench—from on high—that it has always been open to litigants who defend themselves in Scottish courts, but there does not seem to be one view from the bench on the matter." Clearly, as in England & Wales, McKenzie Friends could easily exist in Scottish courts, with a mere change in the court rules, rather than the elaborate proposals of a legislative amendment to the Legal Services Bill, currently under consideration by the Scottish Parliament. 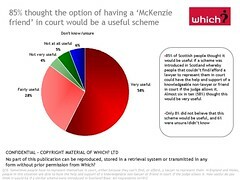 However, as the Scots legal establishment have proved, and are still proving resistive to change, including the introduction of McKenzie Friends as they are used in the rest of the UK, legislation may well be required to ensure the public get the right to use a McKenzie Friend, rather than leaving the issue to be decided at a judges discretion on a case by case basis, which of course, the judges appear to prefer at this time. On the subject of the Scottish Government’s proposals to make an amendment to the Legal Services Bill, giving McKenzie Friends a right of audience, Mr Don was less than enthusiastic, indicating the plan may well be dropped in favour of allowing McKenzie Friends to operate in Scotland as they do in all other jurisdictions. 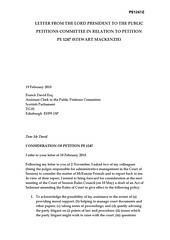 The Scottish Government states in its submission (PE1247/S) that the “mechanism of a supportive friend is already available in the Scottish Courts, in most cases, most of the time” however, the submissions from the Civil Justice Committee of the Law Society of Scotland (PE1247/I), the Scottish Court Service (PE1247/K) and Consumer Focus Scotland (PE1247/H) still refer to the introduction of such facility rather than it already existing. Will it/the Lord President therefore encourage a more widespread use of a “McKenzie friend” when appropriate to “assist a party litigant and, with the court’s permission, to address the court”, as recommended in the Lord Gill's Civil Courts Review and how it will do so ? Will it/the Lord President recommend that such “McKenzie Friend”should sit beside a party litigant and not behind them? If not, why not? What is its/the Lord President’s answer to all the points raised by Murdo Fraser MSP and Margo MacDonald MSP during the discussion? What is your answer to the concerns of the petitioner (PE1247/V) regarding the lack of awareness of the Court of Session about the existence of such a facility? How will this be addressed and when? Can you confirm that there is a presumption in favour of a “McKenzie friend” to assist a party litigant, unless deemed unsuitable by the Court? So really this all boils down to getting the seating arrangements in order – just as everyone else in the world enjoys their McKenzie Friend sitting next to them, instead of the peculiarly & utterly useless Scottish solution currently in place where the McKenzie Friend sits behind their party litigant, and of course, ensuring there is a presumption of the right to have a McKenzie Friend assist a litigant, rather than the matter being left at the court’s discretion on a case by case basis. The facility of having a McKenzie Friend by one’s side in court has worked well in the rest of the world for decades. Surely we in Scotland can manage the same, even with the Law Society and Faculty of Advocates still shaking the bananas from the trees in protest ? Scottish Legal Complaints Commission refuses to repay millions in public funds. IT HAS EMERGED through investigations that the Scottish Legal Complaints Commission, who are angrily refusing calls from consumers & politicians to repay the huge sums of public funds, over £1.7million so far put in by the Scottish Government to create the hapless complaints quango, have a currently serving board member who also holds a paid position on another Scottish Government quango, the Accounts Commission for Scotland which inspects public finances in Scotland’s local government sector, claiming to help achieve ‘best value’ in public services. 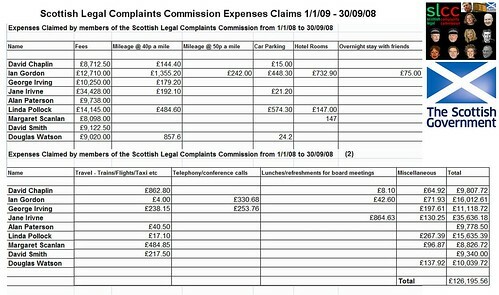 From the release of the SLCC’s board members expenses claims by the Scottish Government, it can be revealed today that Dr Pollock claimed a staggering £15,635.39 in expenses during the first nine months of the Scottish Legal Complaints Commission’s work during the time it received nearly £2 million from the Scottish Government, and before the law complaints quango even did any work on consumer complaints against members of the legal profession. The figures also show that collectively, the SLCC’s board members claimed a staggering £130K in expenses for the first nine months of 2008 on everything from travel, hotel rooms, to lunches and even car parking. Best Value ? : SLCC Board members Expenses – What the public paid for. SLCC Chair Jane Irvine. Jane Irvine of the SLCC was asked for comment on whether the SLCC intended to repay the public purse from the vast surplus funds currently held by the Legal Complaints Commission, who insiders now confirm are studying ways of possibly using the millions held by the quango to appease calls from the Law Society of Scotland to reduce the ‘complaints levy’ which pays for the SLCC’s operational costs of considering complaints made by the public against solicitors & law firms in Scotland. However, the SLCC refused to comment, and are rumoured to be very angry the issue of repaying the near £2 million taxpayer funded start up costs has resurfaced in the public arena. Politicians and consumer organisations have now joined the call for the Scottish Legal Complaints Commission to repay the vast amount of public funds which helped to start up the quango. A senior official with one of Scotland’s main consumer organisations said today he believed the Scottish Legal Complaints Commission should repay taxpayers the full amounts pumped in by the Scottish Government to start the hapless law complaints body. No one was available at the Scottish Legal Complaints Commission to answer further questions this afternoon and the question of whether the SLCC can be made to repay the millions put in by taxpayers will now be taken up by politicians & campaigners. Better giving the money to hospitals, education and keeping us all safe & sound, rather than simply emptying it into board members expenses claims and the back pockets of the legal profession ? Scottish Legal Complaints Commission passed most complaints back to Law Society. THE SCOTTISH LEGAL COMPLAINTS COMMISSION have issued their first annual report (pdf), revealing a wasted year for Scots consumer protection against ‘crooked lawyers’ with figures showing the SLCC shockingly passed most complaints it had received back to the Law Society of Scotland for more closed shop investigations by solicitors colleagues, which have resulted in many complaints being ‘whitewashed’, a long standing problem the hugely expensive Commission was formed to prevent occurring in the first place. Complaints against crooked lawyers get a reluctant hearing at the Scottish Legal Complaints Commission. The statistics in the annual report reveal that 3,355 ‘enquiries’ during the nine month period were received by the Scottish Legal Complaints Commission, and of these, 1217 legal complaints were processed by the SLCC’s Gateway Team. However, it transpires that few of these were actually investigated by by the Commission itself, as its own board members had decided to refuse to investigate any complaints or issues arising from legal service provided to consumers prior to the date 1st October 2008, conveniently cutting off most complaints from the SLCC’s remit and allowing the quango to pass the buck back to the Law Society for more of the usual dodgy closed shop complaints hearings. 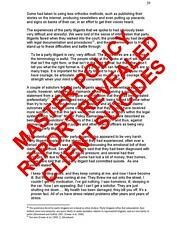 Report on Master Policy revealed suicides – SLCC still to act after a year of indecision after client deaths were reported by University’s Law Professor team. Stunningly, while Professor Frank Stephen & Dr Angela Melville of the University of Manchester’s Law Department investigated many aspects of the Master Policy & Guarantee Fund, even commenting the suicides of clients caught up in the notoriously corrupt claims system of the Law Society’s Master Insurance Policy - the Professional Indemnity Insurance for solicitors which clients must claim from in the event of negligence or other poor service, the only comment so far from the Scottish Legal Complaints Commission in its brief annual report neglected to mention the Master Policy report in detail, leaving a distinct impression the SLCC is unwilling to investigate or do anything about the suicide issue, for fear of upsetting the Law Society. Jane Irvine, SLCC Chair. Jane Irvine, Chair of the Scottish Legal Complaints Commission speaking on the release of the SLCC’s annual report, made no mention of the suicides and other dire revelations from the Manchester University report by Professor Frank Stephen & Dr Angela Melville, which was completed in May 2009, rather indicating the SLCC still had a long way to go on its general duties, before even considering doing anything on the Master Policy. Jane Irvine said : "It was an intense period of time with everyone contributing a huge amount of work to put in place procedures and policies for dealing with enquiries and addressing complaints under the terms of the Legal Profession and Legal Aid (Scotland) Act 2007." Ms Irvine continued : "One of our key objectives is to fully understand the function and purpose of the Master Policy and Guarantee Fund and to understand the experiences of the individuals who have made a claim. The commissioning of research was a first step towards the SLCC exercising its oversight role. The research created an important starting point for the SLCC's oversight role, which we intend to develop." So, one year later, and still no action on the Master Policy .. even a garden slug manages a faster pace. 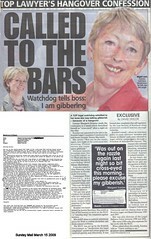 Eileen Masterman, SLCC Chief Executive gets £1350 per week to pass complaints back to the Law Society of Scotland. On the issue of the SLCC’s handling of complaints against solicitors from members of the public, Jane Irvine went on to reveal that most complaints the Commission has received so far, have horrifyingly, been passed back to the Law Society of Scotland, after the SLCC decided itself it would exclude any complaint for investigation prior to 1st October 2008 – a highly prejudicial decision which has confirmed to many the SLCC’s board members are too close to the Law Society of Scotland and the legal profession itself. Jane Irvine said : "We received 3,355 enquiries during the nine month period, and of these, a small proportion were dealt with as complaints under the 2007 Act. The majority were registered by the SLCC, but were dealt with under old powers because the complaint originated prior to our opening on 1 October 2008. "The majority of complaints were referred to the relevant professional body with the SLCC able to investigate how the professional body dealt with the complaint but not the actual complaint. Two hundred and three of these "handling" complaints originated prior to 1 October 2008 and were dealt with by the SLCC under the powers of the former SLSO." A senior official from one of Scotland’s consumer organisations today condemned the Scottish Legal Complaints Commission’s attitude towards consumer protection, claiming it was ‘little more than a clearing house for complaints back to the Law Society’. A client who had a complaint investigated by the SLCC today branded it useless and an affront to Scotland. The SLCC report also revealed the quango has a staggering £1.565 million pounds as surplus, which Lorna Jack, the Chief Executive of the Law Society of Scotland has attacked, branding the sums “unacceptably high”. Ms Jack went onto further attack the SLCC’s lack of work, and demanded a reduction in the complaints levy Penman Levy forced on all Scottish solicitors to pay for the quango’s upkeep & operation. In response to the Law Society’s demands for a reduced complaints levy, Jane Irvine, the SLCC’s chair commented on the Commission’s financial state, saying : "We are conscious that our set up costs came from the Scottish Government and our ongoing funding comes from a levy paid by individual practitioners and a levy paid when a complaint is upheld. With this in mind, the SLCC has taken a measured approach when recruiting staff and our workforce will only increase in line with the level of work coming to us." Ms Irvine concluded her annual report statement by saying "I am confident that the hard work of the SLCC Board Members and staff has laid the foundations of an excellent complaints handling service, built on our core values of accessibility, independence and impartiality." SLCC should repay Justice Secretary Kenny MacAskill’s £2 million of public money for start up costs. However, calls are now being made for the Scottish Legal Complaints Commission to use their surpluses to repay the nearly TWO MILLION POUNDS OF PUBLIC MONEY pumped in by the Scottish Government to start up the law complaints quango, which could be better spent elsewhere. Repaying the Scots public purse would be a more useful and conscientious use of the SLCC’s vast surplus during these challenging financial times for critical public services, rather than simply handling over surplus millions to lawyers back pockets. The Scottish Legal Complaints Commission were asked earlier today, given their gigantic surplus of £1.5 million, would they consider paying back the start up costs from the surplus, if not in one payment, over several payments. The SLCC is yet to give its formal response. Jane Irvine, former Scottish Legal Services Ombudsman issues final report. THE SCOTTISH LEGAL SERVICES OMBUDSMAN, a taxpayer funded office with an Ombudsman appointed by the Government, whose task was to investigate complaints against the notoriously corrupt LAW SOCIETY OF SCOTLAND where investigations against crooked lawyers had effectively been whitewashed by the profession, has issued its final report after being in existence for nearly twenty years. While the final report details the usual statistics and incomprehensible to most issues on how the Law Society handled or mishandled hundreds of complaints made by clients against its traditional closed shop complaints system, the reality is that in the near twenty years of the Scottish Legal Services Ombudsman’s existence, nothing much has been changed at the Law Society despite boasts to the contrary. Ombudsman of the 90’s Garry S Watson’s recommendations on secret representation for ‘crooked lawyers’ were quickly ignored. The role of the Scottish Legal Services Ombudsman was to investigate complaints against the Law Society itself over their mishandling of complaints, however the SLSO’s office had no enforceable powers assigned to it, and could only make “recommendations” on a case by case basis, many of which were simply cast aside by the Law Society of Scotland, particularly the recommendations of the late 1990’s where the then Ombudsman, Mr Garry S Watson recommended that lawyers not be allowed legal representation before Complaints Committees while the Law Society denied the same right to clients. The recommendation made by Mr Watson over the Andrew Penman case, which revealed a secret policy of ‘crooked lawyers’ being represented at Complaints Committees by senior Law Society figures was quickly cast aside, and still goes on to this day in certain cases of complaints against the favoured elite of ‘crooked lawyers’. During the year 2007/2008, the Scottish Legal Services Ombudsman received 359 complaints about the way the Law Society of Scotland handled complaints. Of the 359 new complaints received, 47 complaints were out of remit which included 11 complaints that were out of time and 19 premature complaints, i.e. no formal complaint had been made to the Law Society of Scotland. The Scottish Legal Services Ombudsman investigated and issued Opinions on 274 cases, 5 cases were sent to the English Legal Services Ombudsman (LSO). Of the eligible complaints received by and accepted for investigation by the Scottish Legal Services Ombudsman, 25% of people said they were dissatisfied with handling, 22% said they were unhappy with the way evidence was used or interpreted, 27% said reasoning was inadequate, 15% complained of bias, 6% complained about delays and 5% complained about the limitations of the Law Society of Scotland’s powers. Between 1 April 2008 and 30 September 2008, the number of complaints received by the Law Society was 1321. of these, 1176 (89%) were closed within the target of 43 weeks. During the six months between 1 April and 30 September 2008, the Scottish Legal Services Ombudsman received 176 complaints about the way the Law Society of Scotland handled complaints. Of the 176 new complaints received, 30 complaints were out of remit which included 5 complaints that were out of time and 11 premature complaints, i.e. no formal complaint had been made to the Law Society of Scotland. The Scottish Legal Services Ombudsman investigated and issued. Opinions on 133 cases, 5 cases were sent to the LSO. Of the eligible complaints received by and accepted for investigation by the Scottish Legal Services Ombudsman, 27.1% of people said they were dissatisfied with handling, 26.1% said they were unhappy with the way evidence was used or interpreted, 25.7% said reasoning was inadequate, 12.4% complained of bias, 5.4% complained about delays and 3.3% complained about the limitations of the Law Society of Scotland’s powers. Faculty of Advocates - “We have crooks too !”. The Faculty of Advocates complaints statistics for SLSO investigation were : From 1 April 2007 to 31 March 2008. the faculty of advocates had 770 members of whom 462 were practising. the faculty received 33 complaints, 21 of which were completed within the 43 week target period, 3 complaints were completed outwith the target. in the period 1 april 2008 to 30 September 2008, 12 complaints were received by the faculty of advocates. 7 complaints were completed within their timescale, 3 were not completed and 2 were completed outwith the timescale but still live and with the faculty’s disciplinary tribunal. The full version of the final Scottish Legal Services Ombudsman’s report can be downloaded in pdf format, here : 2007–2008 Report and the archive reports for comparison (recommending much the same, year in, year out), are here : 2006–2007 Report 2006–2007 Report Discussion 2005–2006 Report 2004–2005 Report 2003–2004 Report 2002–2003 Report 2001–2002 Report 2000–2001 Report . Curiously none of Garry Watson’s reports as Ombudsman exist on the SLSO’s website. Obviously no longer worth the space in cyberspace ? Dougie, the Ombudsdog (a 100% honest member of the SLSO team). Ms Irvine also claimed the Law Society and Faculty had made efforts on complaints : “However, as the final Scottish Legal Services Ombudsman, I also have to recognise that both the Law Society of Scotland and the Faculty of Advocates have made great efforts to provide better complaints handling services to benefit both their members and the general public. The figures within this Report indeed demonstrate improvements in the approach taken by both the Law Society of Scotland and the Faculty of Advocates.” – but really, Jane, that's not how clients of the Law Society’s complaints system really feel now, is it … – personally, I think many of us would have preferred to see Dougie give a few of the Law Society frequent crooked flyers a good shaking, or dare I say .. gnashing … grrrr ! Ms Irvine ended by thanking both the SLSO staff (generally, the good) and the Law Society Client Relations team (generally, the bad - the ones who usually ruin client complaints and make sure crooked lawyers get off the hook), however making no mention both teams have been & are at each other’s throats at the new Scottish Legal Complaints Commission, with the gang from the Law Society seemingly intent on taking over the asylum and assimilating the SLCC back into the Law Society fold. I naughtily reported on that earlier, here : Law Society target ‘outsider staff’ for exit at Complaints Commission as lawyers undermine attempts at independent regulation provoking threats from Mr MacAskill’s Justice Department on the revelations, here 'Culture of fear' grips Scottish Legal Complaints Commission as Justice Department witch-hunt threatens whistleblower staff over leaks to media. Jane Irvine has attempted to make efforts in the ‘consumer’ direction by supporting FOI implementation on the Law Society of Scotland (sadly will never happen, too much arm twisting and greasing of Scottish Government Minister’s palms by Law Society bullies/blackmailers), but Ms Irvine does have a long way to go, as the SLCC is basically a shambles as it currently stands, having no client success stories to show for itself after a year of operation and two million pounds of taxpayers money pumped into it, while its board members pump out their gigantic expenses claims.